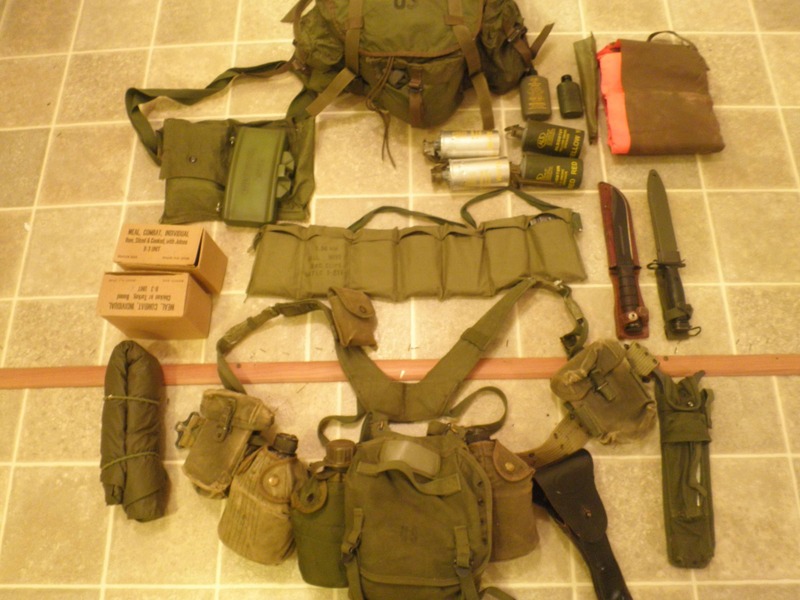 It seems the posts regarding Vietnam war era weapons and history are always popular. 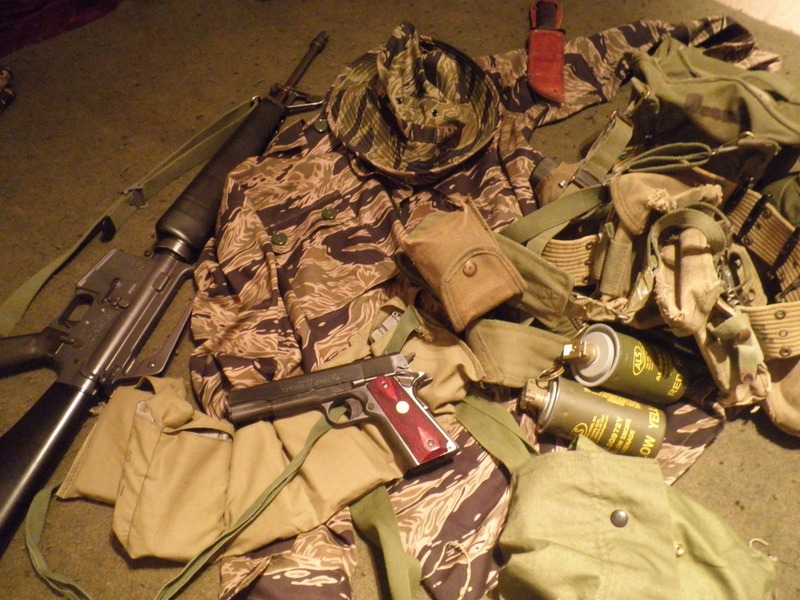 So I decided to show some of my collection of original gear from the Vietnam War as a photo post. My father in law was a Vietnam Navy Corpsman and a history buff. 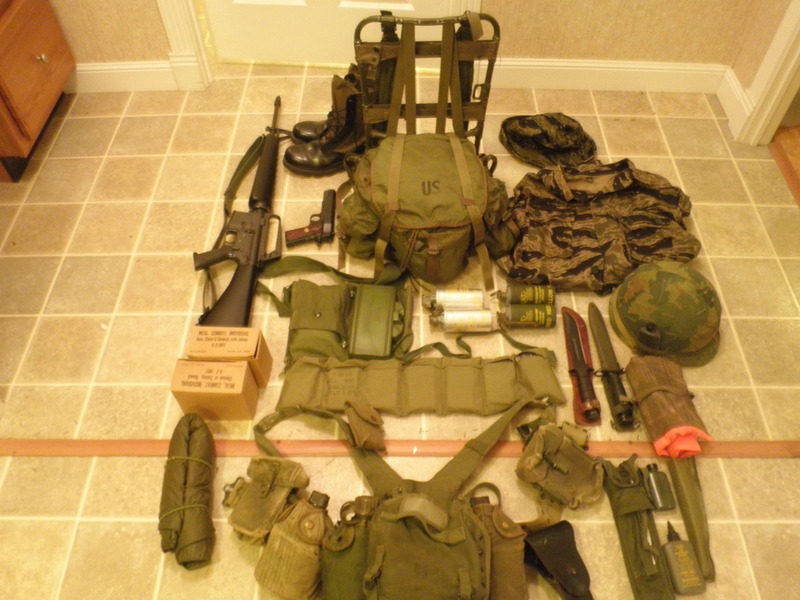 He was allowed to carry a grease gun and opted for it instead of the M16. My mother in law will be moving from her old house soon, and we are going to be going through his stuff in the attic. 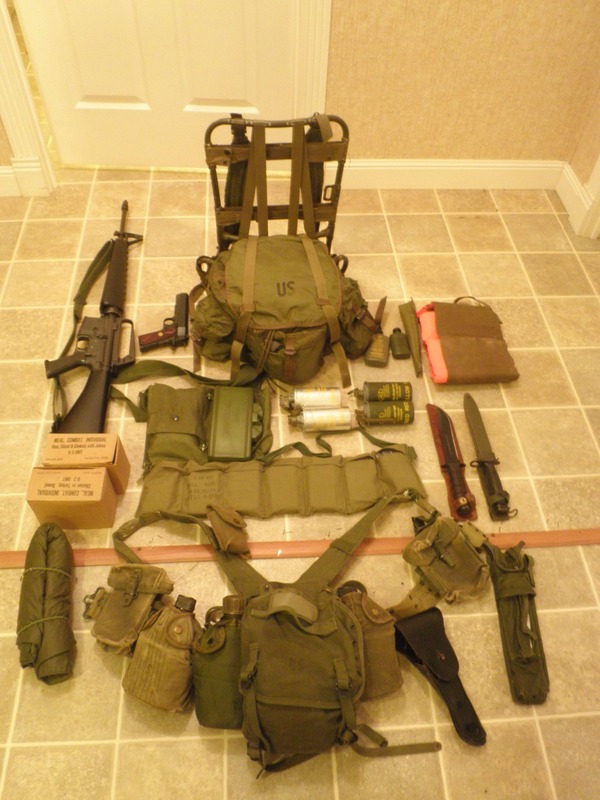 Up there is a USGI duffel bag with God knows what inside. He always got a kick out of seeing collections like this. If I have her permission I will post some of the GI contents of that bag. You would be better able to figure out the equipment (if any) than I would.